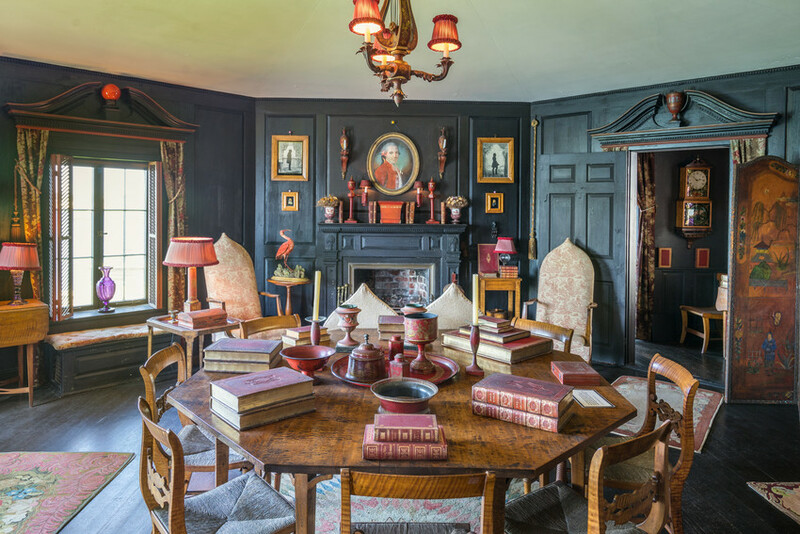 At Beauport, the Sleeper-McCann House, no two rooms are the same – the designer and owner, Henry Davis Sleeper, made sure of that. Sleeper’s curiosities, colored glass, folk art, china, and silhouettes make up a collection that fills each of Beauport’s forty rooms. Sleeper purchased a piece of land at Eastern Point in 1907 and started construction on Beauport the following year. He worked with local architect Halfdan M. Hanson on the design of the house and the two continued to expand Beauport and work on other architectural and design commissions until Sleeper’s death in 1934. The Pine Kitchen: Sleeper’s romanticized version of an early American colonial kitchen, added in 1917, marks a shift to his collecting Americana. Most of the rooms at Beauport are inspired by specific objects, themes, or significant events. For example, the Pembroke Room (or Pine Kitchen) was constructed with doors and paneling from Sleeper’s mother’s ancestral home in Pembroke, Massachusetts. The Franklin Game Room exhibits Sleeper’s fascination with America’s founding fathers, and other rooms have names that reflect their general aesthetic, such as the Book Tower and Golden Step Room. The Octagon or “Souvenir de France” Room: Sleeper added this dining room around 1921 after returning from Paris during World War I. It is designed around his collection of toleware (painted tinware). The “red painted tin” Sleeper mentions in this letter exemplifies his collecting philosophy: he was more concerned with the visual aesthetic that comes from curating the objects in a room, rather than the historic or artistic value of the individual pieces. Aside from remodeling the China Trade Room in 1936, McCann kept the rest of Sleeper’s collections and arrangements intact. 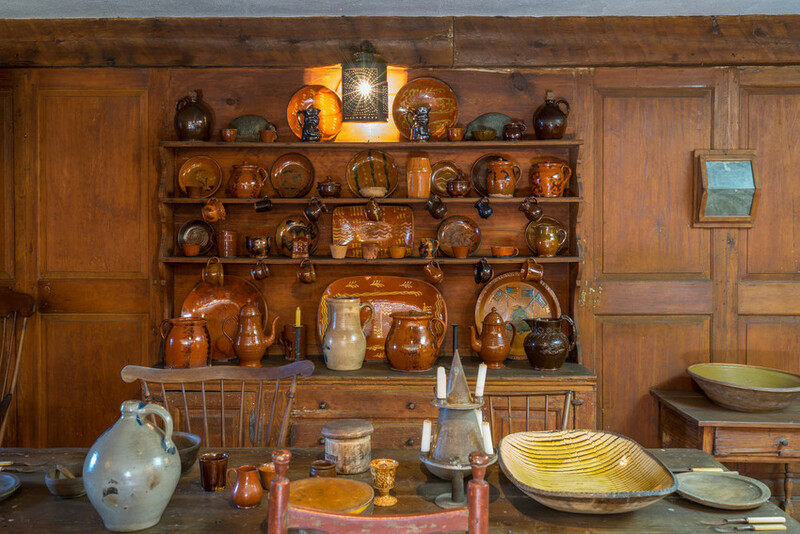 Learn more about Henry Davis Sleeper’s collections at one of our Nooks and Crannies tours at Beauport, the Sleeper McCann House. Or, read about Isabella Stewart Gardner’s relationship to Sleeper and their group of art-collecting friends.